Photo courtesy of WPAFB The National Center for Medical Readiness received delivery of a Conex “hotel,” Oct. 23 which includes three 12,000-pound structures, to be incorporated with future training and testing events taking place at the tactical training facility. 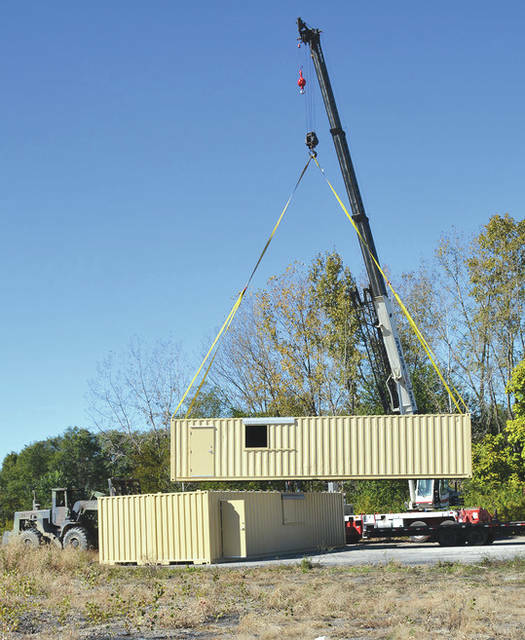 WRIGHT-PATTERSON AIR FORCE BASE — The National Center for Medical Readiness received delivery of a Conex “hotel,” Oct. 23 which includes three 12,000-pound structures, to be incorporated with future training and testing events taking place at the tactical training facility. https://www.xeniagazette.com/wp-content/uploads/sites/32/2018/11/web1_181031-F-F3456-2000.jpgPhoto courtesy of WPAFB The National Center for Medical Readiness received delivery of a Conex “hotel,” Oct. 23 which includes three 12,000-pound structures, to be incorporated with future training and testing events taking place at the tactical training facility.